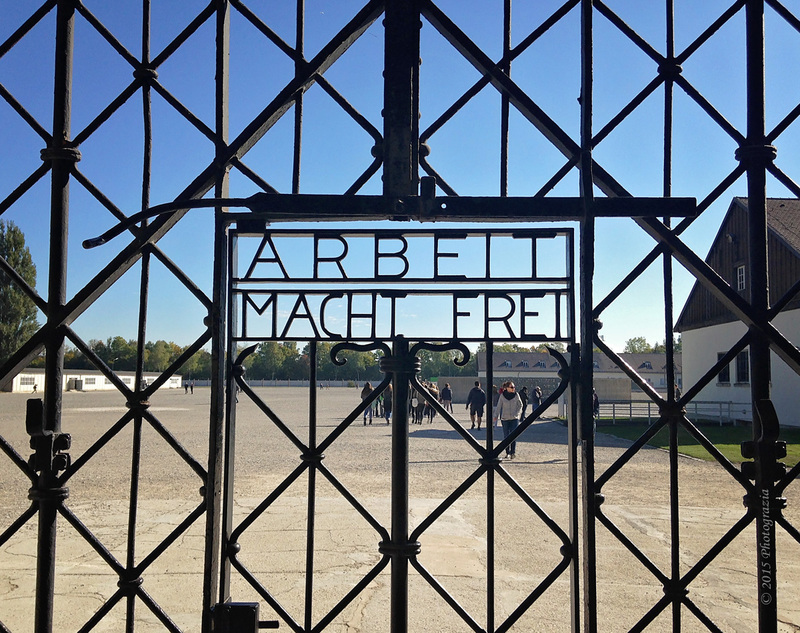 It doesn’t really hit you until you approach the wrought iron gate: Arbeit Macht Frei (Work Sets You Free). In order to visit the camp, you must go through that gate. It’s not the original gate, of course. That was long ago stolen or destroyed. But the lettering is the same and, like those that entered the camp between 1933 and 1945, that gate is the first thing you see before life as you know it is forever changed. 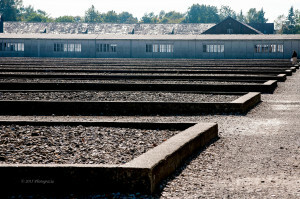 As the first established Nazi camp, Dachau was supposed to be a concentration camp for political prisoners. However, a person’s faith or political loyalties was not the only reasons for imprisonment at Dachau. Artists, homosexuals, the mentally challenged, and anyone else not favored by Adolf Hitler ran the risk of being imprisoned here. The Nazis performed cruel medical experiments at this camp and able bodied prisoners were subjected to hard labor. We parked our car and walked down a little residential street with cute houses. 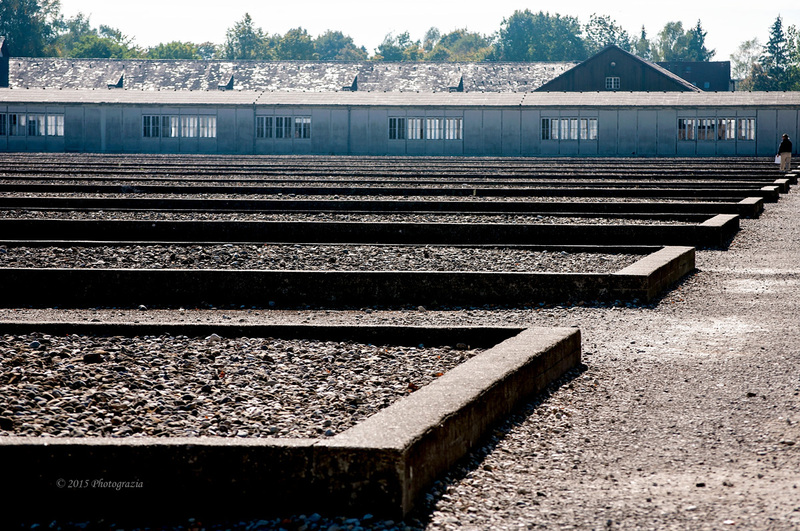 We veered slightly off that street and walked a path heading to the concentration camp. The first thing we saw was a visitor center. Signage and information was abundant. Past the visitor center was part of the railroad track that supported the trains that delivered prisoners on a regular basis. Behind that track was a nice looking house. In that house lived the commandant. He had “unrestricted control of the camp” and everyone followed his orders at all times. Granted, seven decades have passed since this camp was liberated, but its location doesn’t appear to be terribly remote. One would think visitors would have to take long shuttle rides into nothingness to view a place that, surely, the Nazis would have wanted hidden. Instead, it seems to sit adjacent to nearby towns. Wouldn’t there have been sounds, smells and activity all the time? How did such evil survive for twelve years without anyone asking any questions? Upon entering, the biggest observation one makes is the silence. The crunching of stone under shoes seems magnified in the absence of all other sound. I believe the silence is the body’s way of trying to process intense anger and heart wrenching sorrow all at once. 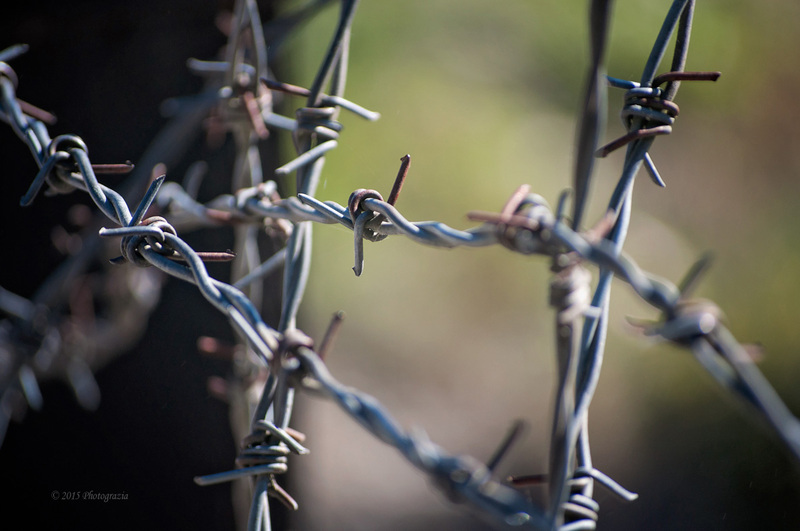 The inner conflict leaves one emotionally paralyzed, but still able to walk and see. To the right there is a memorial sculpture featuring skeletal figures all tangled together. It’s hard for your mind not to conjure up the awful news clips and photos seen over the years depicting real, emaciated bodies tangled together and discarded like rag dolls. Seven guard towers once covered the perimeter of the camp. Prisoners could never escape the guards’ view and they knew better than to walk near what was considered a prohibited area. If they did, they knew they would never even see from which direction the bullets would come. 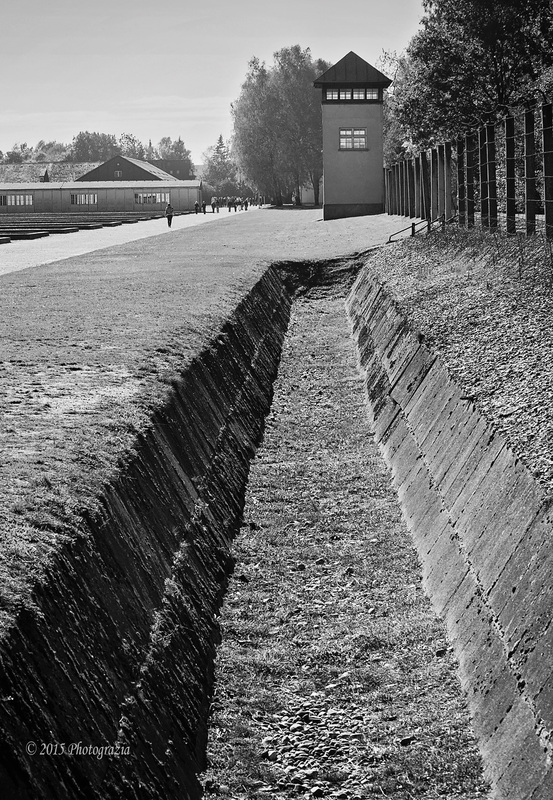 To ensure that escape would not be possible, the Nazis dug trenches and filled them water. Even if a prisoner made it to the trench, they would have to jump into the moat and pull themselves up and out on the other side. There wouldn’t be enough time, in their weakened state, before being noticed by one of the guards and shot. However, when it all got to be too much to handle, some prisoners intentionally ran to a prohibited space and welcomed a quick death. There were originally thirty-four barracks, seventeen on each side of a wide, poplar –lined camp road. The barracks are gone now, except for two reconstructed ones built as an exact replica for the memorial. But there are foundations, row after row, where they once stood. 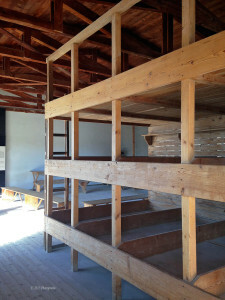 Visitors can stroll through the reconstructed living quarters. The bunks were as we saw them in films sans the clusters of thin, uniformed, and sad-eyed bodies that were forced to fit together in impossibly small spaces. Originally designed to hold six thousand prisoners, the overcrowding became fierce. By the time the Americans liberated the camp in 1945, they found thirty thousand sick and suffering human beings. Toilets were clumped together in a most degrading way. My husky has more privacy when she goes out in the morning than these fine people had. I imagined extremes in weather, from heat in summer to the chill of winter. People got deathly ill with pneumonia, typhus and other communicable diseases. They were nutritionally deficient all the time. Cleanliness was never the order of the day. 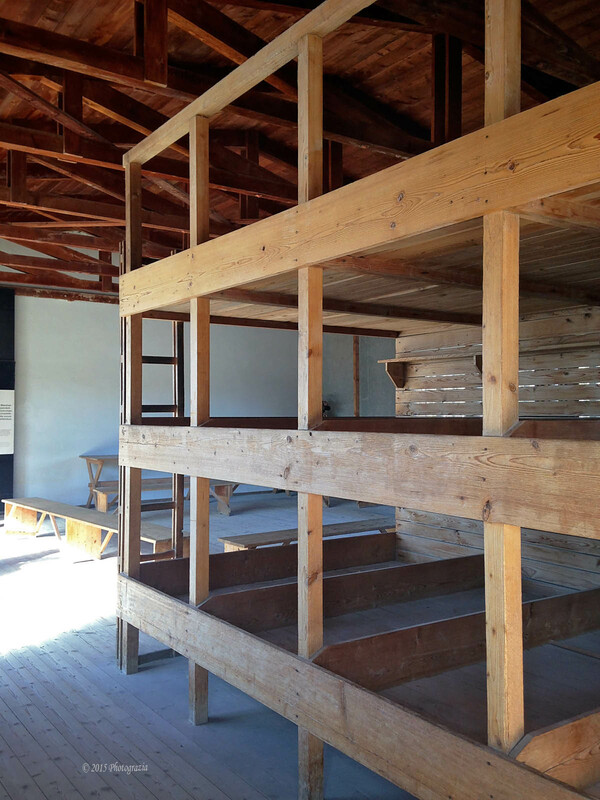 I didn’t want to stay in this reconstructed living quarter for more than a few minutes. I can’t imagine being told it would be my existence going forward. The dusty camp road lined with poplar trees that separated the two rows of barracks became a meeting place for prisoners. They had a tiny bit of free time each evening when they could “socialize” and meet with friends from other barracks. 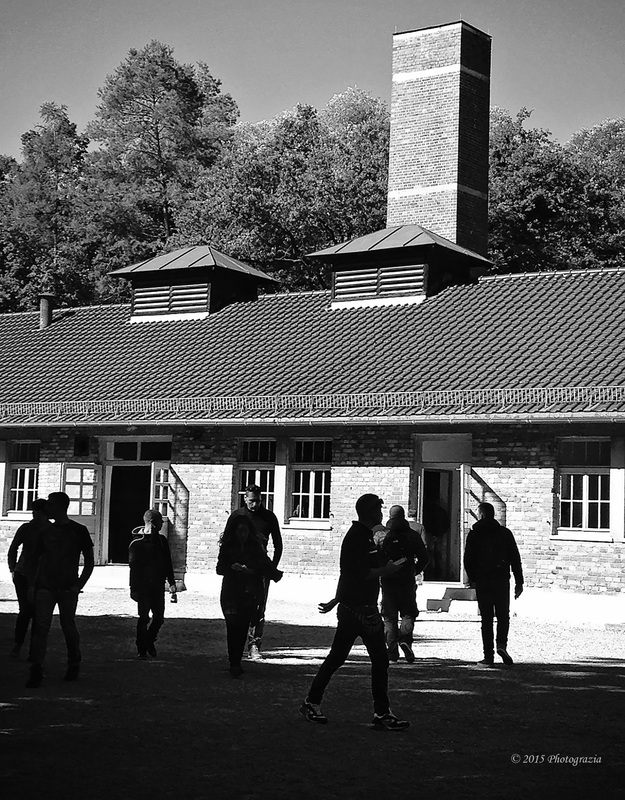 The prisoners called it the “spirit of the camp road” and, for many, it kept them going in spite of the violence and hardships they faced each day. At the end of the camp road, way in the back and off to the side was the Krematorium. We have all heard about the showers and the ovens. But until you see the systematic process that was put into place and forced upon good people being deceived and discarded, you never understand it fully. By the time you leave that building, all you feel is anger and rage. You feel changed forever for having seen what humans are capable of doing to one another. The Krematorium consists of a conveyor belt of rooms. The first big, white room was where prisoners were told to undress. Everything would be removed and left in that room. “You are going to be disinfected and cleaned,” they were told. Then they were ushered into the “shower.” About 150 scared and naked people at a time would enter. There were fake shower spouts and drains. I imagine they thought water would be turned on. Instead, the rusty, little pull down doors on the outside of that room would creak and, within fifteen minutes, the screams stopped. The prussic acid poison gas worked quickly. The next room contained the ovens. 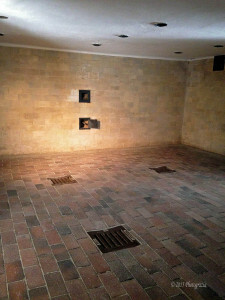 This is where the Nazi soldiers would take the dead bodies. Two or three would be crammed into one of the four ovens. Sometimes, the bodies to be burned did not come from the shower. Sometimes those bodies walked in the door directly. 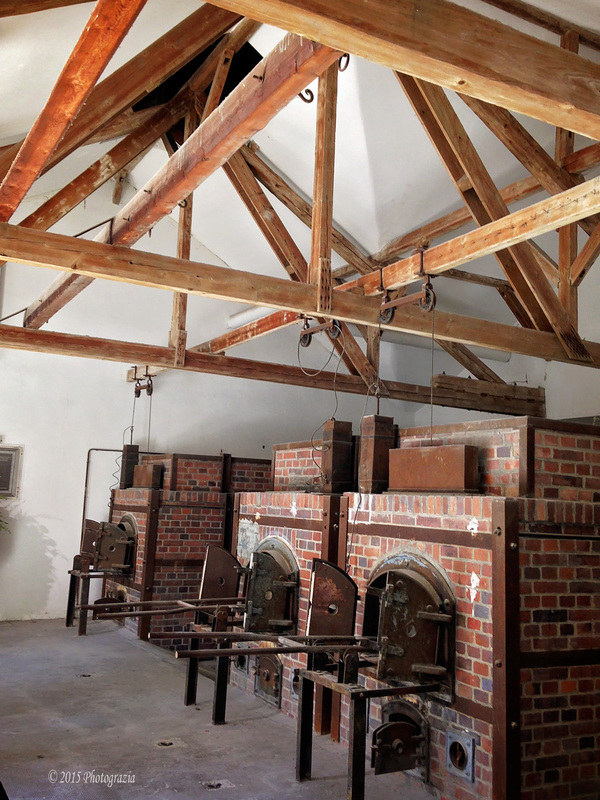 In front of the ovens, attached to the ceiling beams, were hooks. 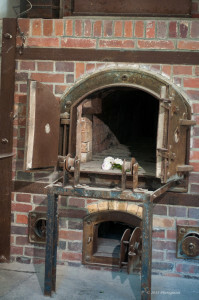 The Nazis would hang prisoners in front of the ovens, then take them down and burn them. What went through their minds as the rope was being place around their necks in front of ovens for which they knew the purpose? It makes you shiver and feel unbelievable sorrow for what they endured. 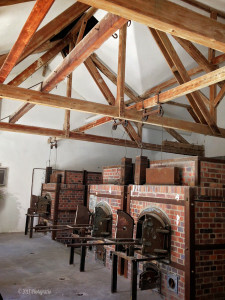 There was another room that was used to just to load corpses from the camp. 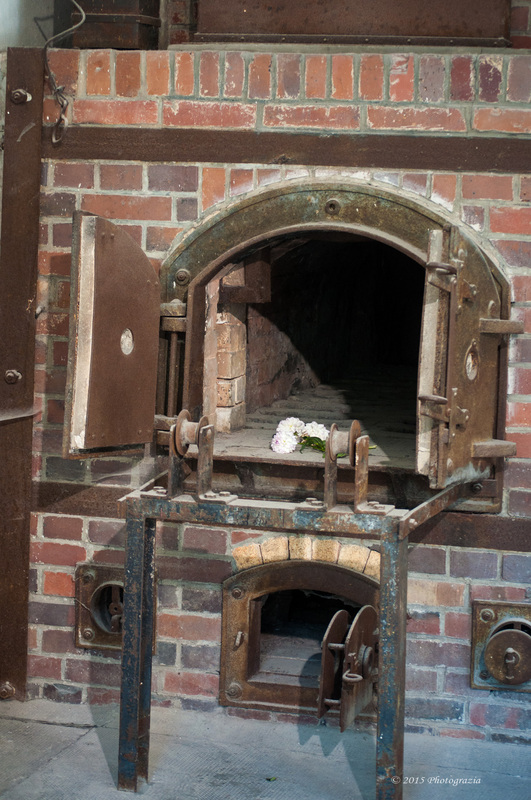 The Nazis would pile the dead high and then work at taking them to the ovens. The dead were accumulating faster than they could discard them. A couple of years ago, I had the honor of speaking with a woman who was a child prisoner at Auschwitz. She was in her late eighties, but sounded spry and in good health, save for aches and pains. I don’t know how the conversation turned to her youth, but I was silent as she told me the tiniest bits about her past. She’d lost her father immediately, then her mother and siblings. She survived the horrors and made it to America. She got married and had children. She told me she never spoke about those days. I told her I had so many questions and such concern for her. She seemed surprised. She wanted to talk, but she said, “Nobody wants to hear my story. My kids don’t want to hear it. They tell me not to mention it anymore.” I hung up the phone realizing that I would rather speak to that woman than to any celebrity, world leader or business leader on the planet. Realizing what she saw, what she endured makes her the most fascinating human that I have ever had the pleasure to know. The fact that her children, grandchildren and great-grandchildren do not want her to speak or to share her story is, to me, as much of an injustice as the injustices which she endured as a child. Younger generations need to know that this evil happened. It is important that this atrocity never be forgotten and that the people who perished here will always be remembered.